Wheelchairs tires are the life of a wheelchair motion. Without the right wheelchairs, safety and freedom of movement are not possible. Sportaid brings you a comprehensive selection of solid wheelchair tires lovingly known as Shox. 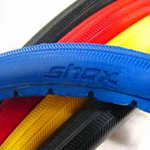 The Shox – Solid wheelchair tires come in several different colors and various sizes, and they provide exceptional traction and gripping potential. By picking out the best wheelchair tires for your needs, you can experience true freedom of mobility, and Sportaid has our own premium collection including Shox Solid Wheelchair Tires and Shox G2 Solid Wheelchair Tires. In addition, we have the Tire Wheelchair Bead Jack and Pedros Wheelchair Tire Lever to ensure that you maintain your independent movement safely. Our expert team will assist you in choosing the right wheelchair tires from our wide collection according to your specifications. The unique design and style of Shox – Solid wheelchair tires allow safe movement and let you enjoy your freedom. Browse through our hand selected line up of Shox – Solid Wheelchair Tires or feel free to call 1-800-743-7203 for expert assistance. Get the most out of your wheelchair by looking to Sportaid for all your wheelchair tire needs. Save 29% when you buy Shox – Solid Wheelchair Tires from Sportaid today! Sportaid's satisfaction guarantee is available both to first time shoppers and our most loyal repeat business customers. 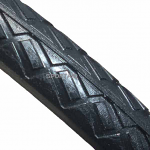 Spending the past 25 plus years helping people find Shox - Solid Wheelchair Tires at the lowest prices has made us the industry leader, and our fine selection of wheelchair cushions, wheelchair parts, and wheelchair accessories gives us the leeway to beat any competitor's advertised price, just call! Our customer service staff has over 50 years of experience, plus over 90 years of combined wheelchair use experience. We are thrilled about working with you!